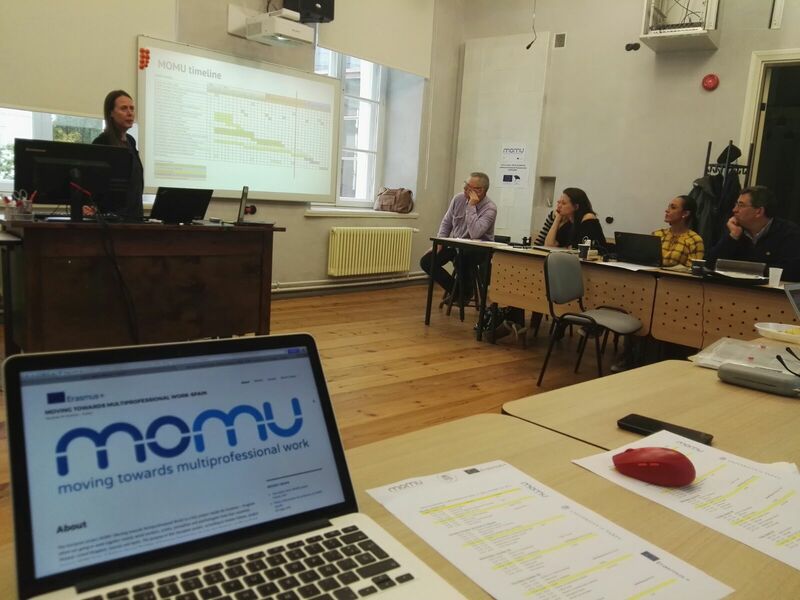 The University of Tartu (Estonia) hosts all this week the new intensive seminar of the European project Ka2 Eramus +, MOMU (Moving towards multiprofessional work) from 2nd to 6th October 2017. 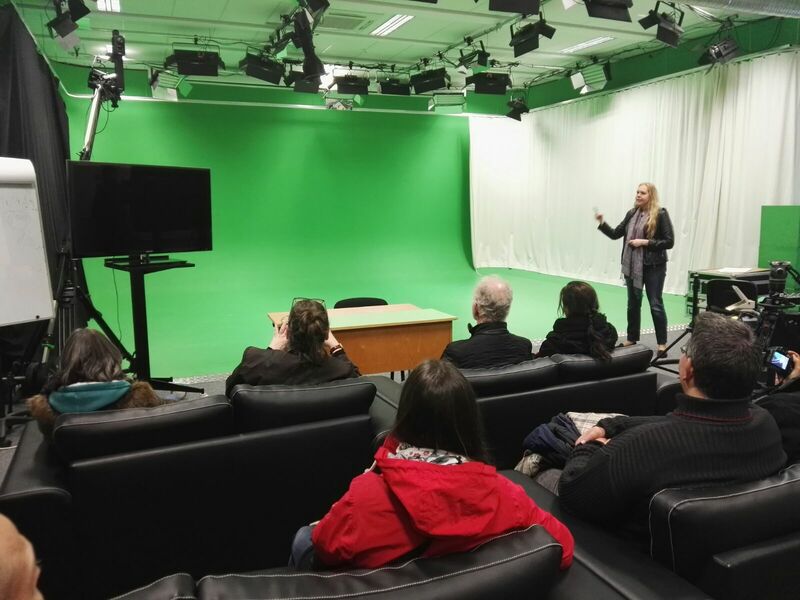 Seventeen professors and researches from the Turku University of Applied Sciences (Finland), Manchester Metropolitan University (UK), University of Tartu (Estonia) and University of Castilla-La Mancha are working this week to advance and complete this project next year. The first day, the session was focused on the development of the training package in all members countries. This issue has been the central activity of the project throughout the year. 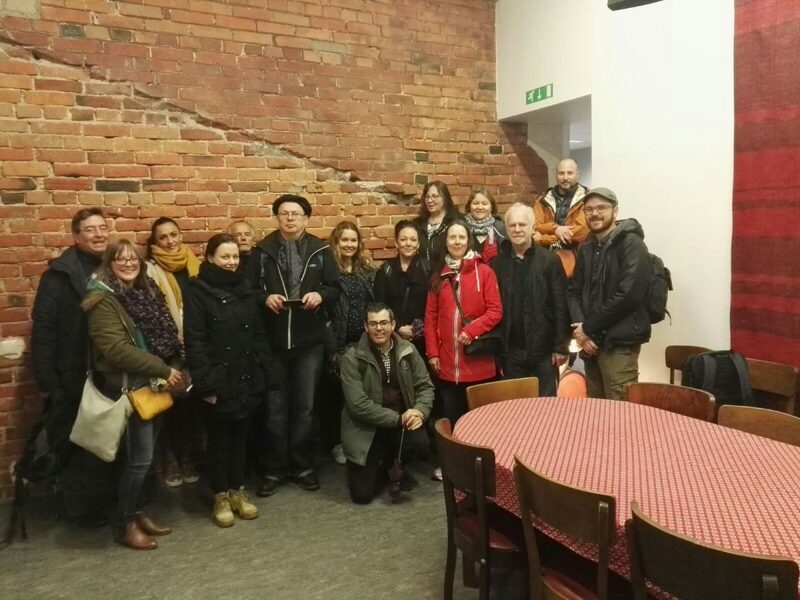 On the second day, the group visited the Viljandi Culture Academy to know some experiences on multiprofessional work. 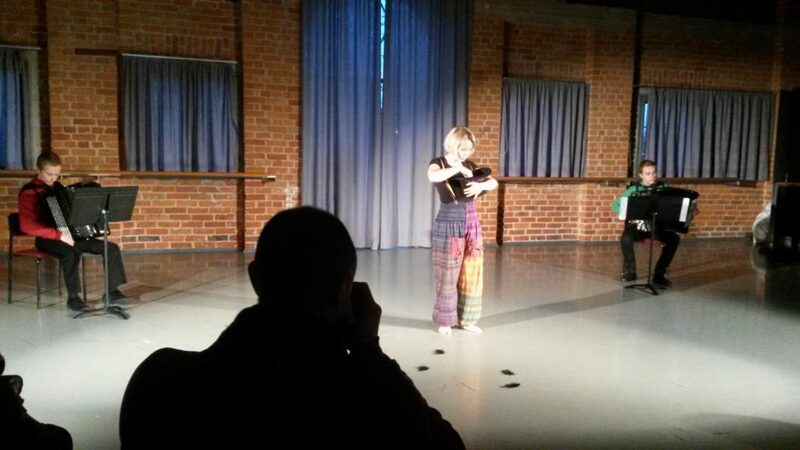 Viljandi Culture Academy is open for international cooperation and cross-cultural communication. It is a school with a special atmosphere, a school with a unique student community and curricula, as well as an environment that provides good possibilities to obtain knowledge and skills in different fields of culture by combining academic knowledge from different fields with a creative and new approach. This project, from the Tartu University, values close interaction in both our study and working environment. Therefore, there is a lot of interaction and cooperation between students from different fields, teachers and administrative staff. 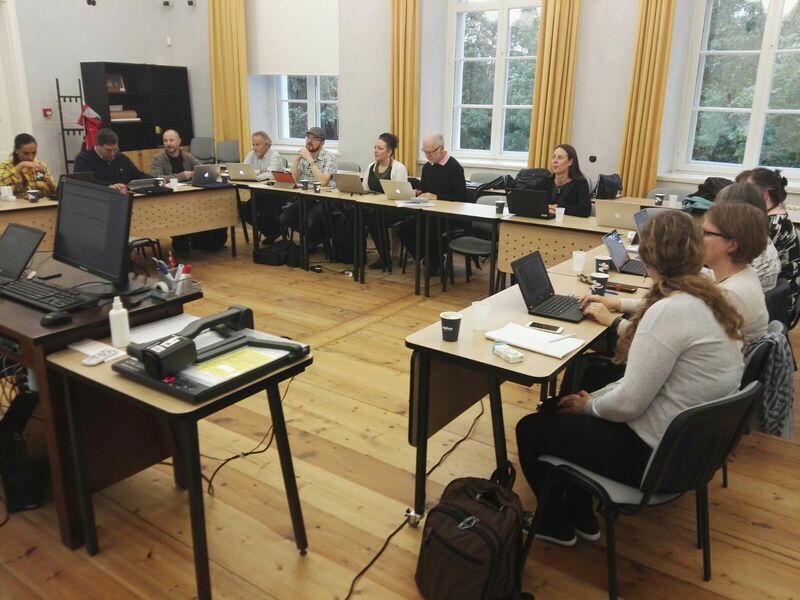 On wednesday, discussions focused on competencies and the preparatory work for the final handbook, one of the highlights of the project. During these days, the MOMU team has enjoyed the hospitality and traditions of Estonian hosts. Throughout this week, the University of Castilla-La Mancha, on its campus in Cuenca, hosted the second international seminar of the European project Ka2 Eramus +, MOMU (Moving towards multiprofessional work). A total of 18 researchers from the universities of Turku University of Applied Sciences (Finland), Manchester Metropolitan University (UK), University of Tartu (Estonia) and the University of Castilla-La Mancha have made progress in a project that runs until August 2018. 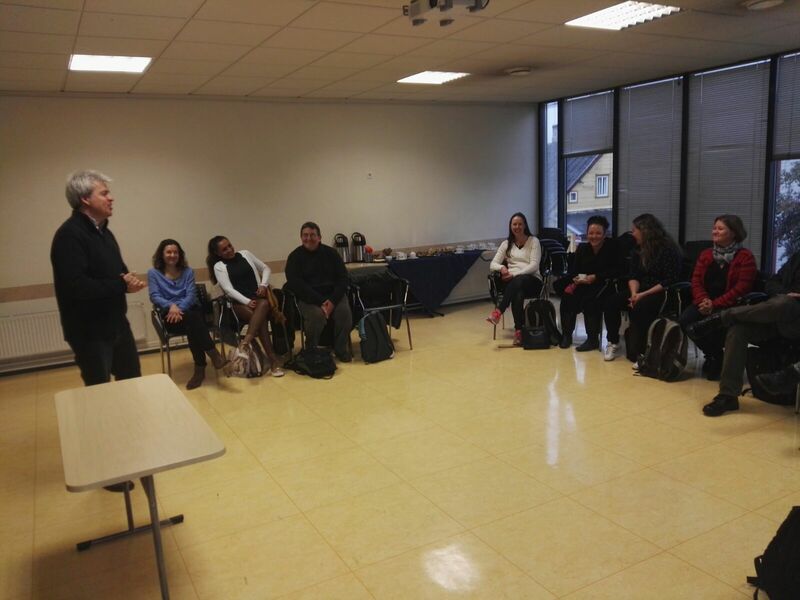 Last Monday, October 3rd, Mª Ángeles Zurilla, Vice Chancellor of Culture, Sports and University Extension, welcomed all the participants, along with the Dean of the Faculty of Journalism, Ángel Luis López, and the vice-dean of Social Work, Pilar Cañas. 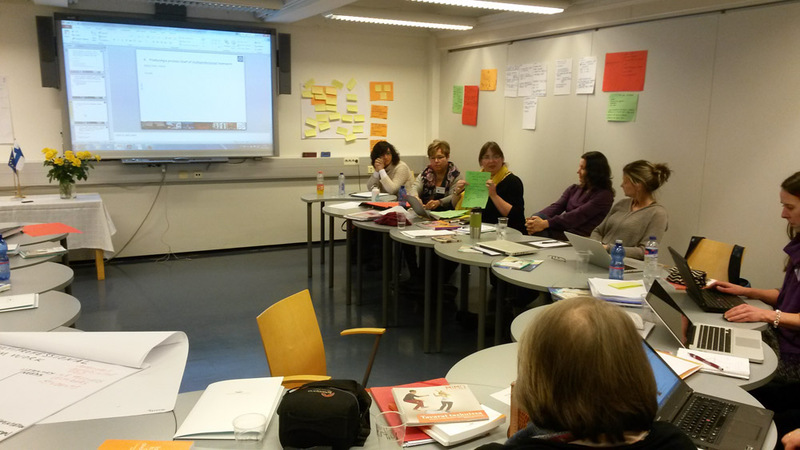 The aim of the project, as Suvi Kivelä, MOMU general coordinator of the University of Turku, says: “is the acquisition of new skills to define and develop multiprofessional work between social work and art professionals, in order to find effective solutions to reduce the vulnerability of young people and increase their employability”. In the five days that the seminar lasted, the researchers have advanced in the second stage of the project, which is the implementation of the training of trainers. This training will take place in the spring of 2017 in each of the four universities. After this training, which aims to prepare teachers in the area of ​​social work and art to work in a multiprofessional (collaborative) way, will be launched the training aimed at students as future professionals and professionals who already develop their work in both areas. Emilio José Gómez Ciriano, coordinator of the project at UCLM: “The final result of the entire process of research and exchange of multi-professional methodologies will be the development of didactic materials that serve as a manual for any teacher who wants to develop a collaborative work between Social work and any artistic area, from theater, dance, painting or media”. Workshops, work and group dynamics to exchange experiences, in addition to recording several pieces of project dissemination have completed the week. Also researchers have been able to enjoy the city of Cuenca in a gastronomic and touristic way. 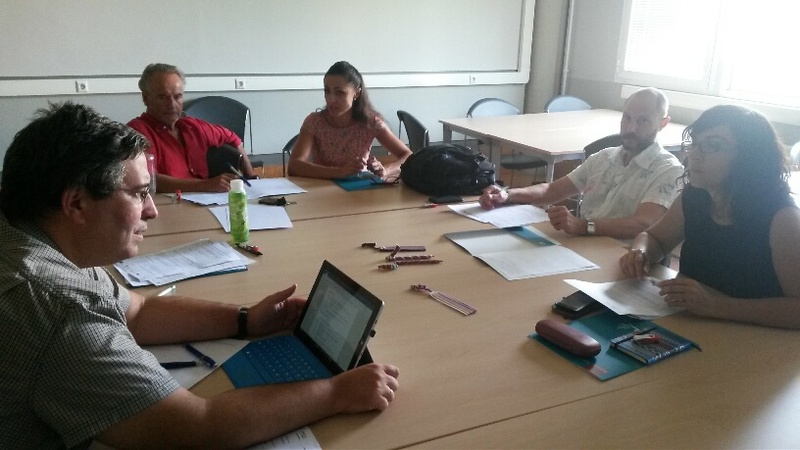 The Cuenca campus of the University of Castilla-La Mancha will host from the 3rd to the 7th of October the second meeting of the European Project MOMU (Moving towards multiprofessional work). 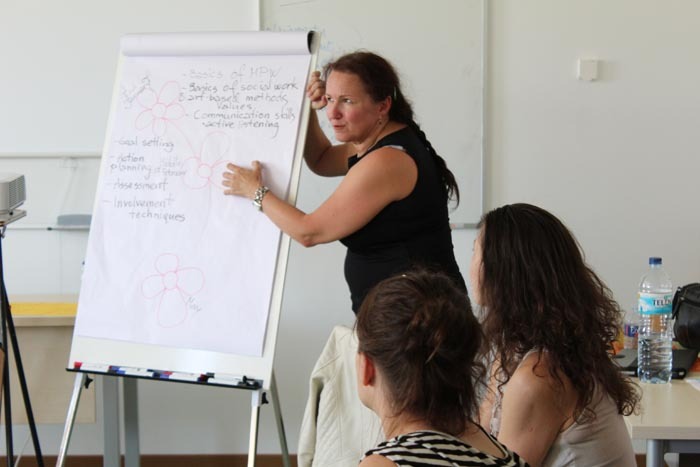 MOMU aims to support multiprofessional working and training of HE lecturers providing new perspectives on the cooperation between different study, art and social work to increase employability between young people. 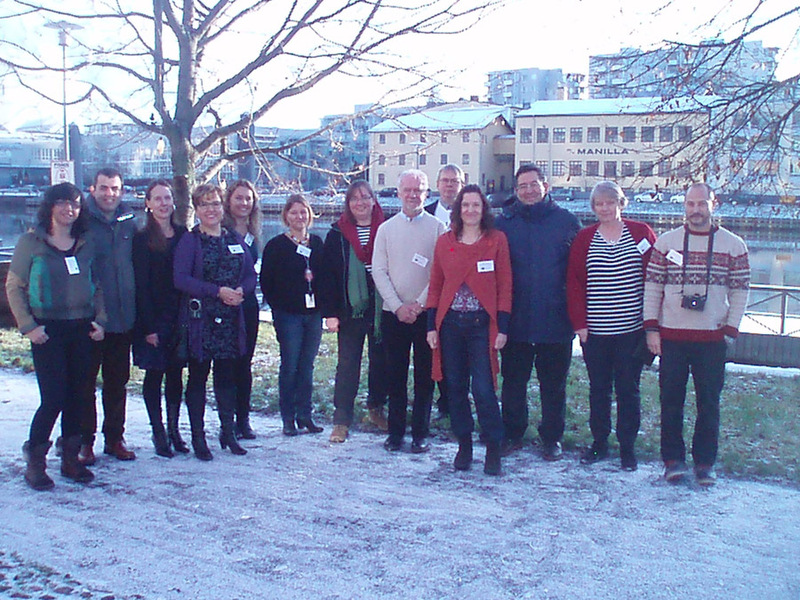 In the seminar will participate 18 professors and researchers from the consortium of the four European universities involved : University of Applied Sciences Turku, Finland (project coordinator) Manchester Metropolitan University, UK; The Viljandi Culture Academy of Tartu University, Estonia; and the University of Castilla-La Mancha. As Emilio José Gómez Ciriano, proyect manager of UCLM team, said “after one year, the project and the differents teams are working together better everyday and the Cuenca meeting in Cuenca will be another ímpetu for the next two years”. As part of the extr-seminar activities participants will have the opportunity to enjoy the city of Cuenca.